Yesterday, leaked images of Apple’s upcoming MacBook Pro confirmed its rumoured OLED touch bar, dubbed the ‘Magic Toolbar’. If you look closely however, you will notice there is no ‘Esc’ key present on the keyboard, anywhere. 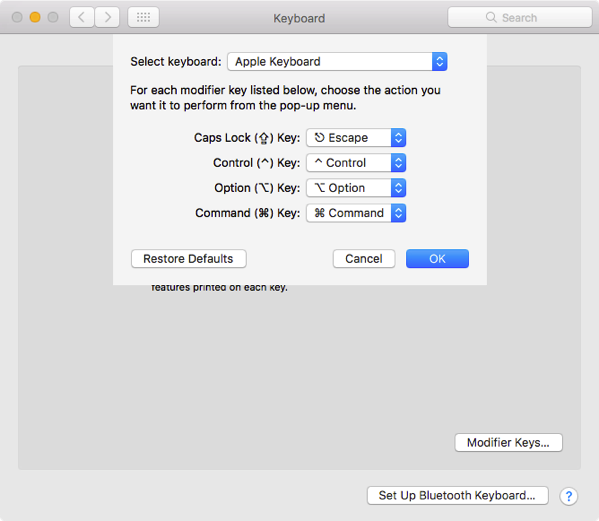 While a wide number of Mac users may not appreciate Apple’s move to ditch the Escape key from the hardware, Jeff Geerling seems to have found a workaround for this, allowing you to assign another key for the purpose. In macOS 10.12.1, Apple has included a nice little addition to it’s Keyboard configuration options, which allows you to remap the Escape key to any of the other modifier keys on your keyboard (as shown in the screenshot above). It won’t be a bad idea to finally make the worthless Caps Lock key actually useful. “Unless you like SHOUTING ALL DAY, there’s no reason to even have a caps lock key. Join the hipsters and switch it to Escape! Besides allowing you to have a hardware Escape key on Apple’s latest laptops, it’s a larger and easier to use button than that tiny half-chicklet at the top left of ye olde keyboards”. 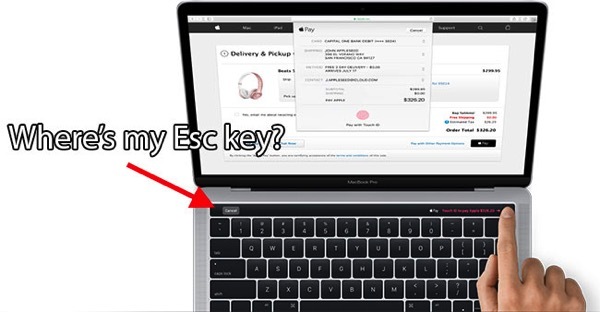 Do you prefer the current keyboard layout with a dedicated ‘Esc’ key or the forthcoming MacBook Pro layout with a Magic Toolbar?